Going Eco-Friendly with Your Printers | TonerGreen - Eco-Friendly Toners from the U.S. So you own a printer at home? Ever wonder how you can go eco-friendly even though you know that printers are considered to be one of those equipment that emits carbon? 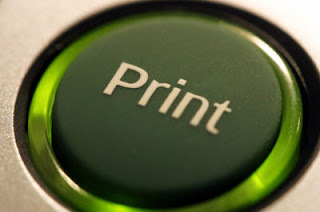 Well, here are some tips I can give you on how you can go eco-friendly with your printer. First, look for Energy-Star qualified printers. Energy Star is an international standard for energy efficient consumer products. Printers that are energy-star qualified have eco-friendly features that reduce energy consumption and lessen your carbon footprint. An example of such feature is HP's Auto-On/Auto-Off Technology which turns on the printer when needed and turns it off when not. When printing, use duplex-mode or double-side printing as much as possible. 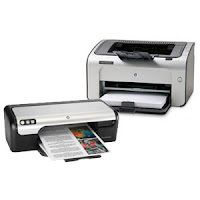 There are types of printers that have duplex-mode or allow double-side printing. These reduce your paper usage by up to 50%. Another thing is use recycled papers instead. The next time you hit the market to buy papers for your printing supply then why don't you pick recycled papers. There are quality recycled papers in the market which aren't different from new papers, sometimes even more glossier. It also let's you help save trees from being cut down. Aside from these, when buying printer consumables, why don't you try using remanufactured ink cartridges or remanufactured toner cartridges. These remanufactured printer cartridges are also known as recycled cartridges. These are used OEM cartridges that are refurbished and refill with new toner or ink then re-package for resale. But don't let the term "remanufactured" fool you. These printer cartridges went under several processes to ensure they meet or sometimes even exceed the performance and page yield of their OEM counterparts. Lastly, before printing anything always check for errors and mistakes. The most common mistakes printer users do is that they forget to preview they're documents before hitting that print button thus printing documents with typographical errors or wrong sentence structure which of course, automatically are thrown to bins. You just don't waste paper because of this, you also waste your ink and toner so be cautious and check your documents before printing them.